Whether your clients are from within the UK or further afield, we have expertise, resources and insider tips to help you plan the perfect island break and guide you through the process of creating a liberating and joyful client experience. Here are some sample itineraries for the island break. With a flight time of around an hour, your clients can finish work on a Friday and be in Jersey in time for a late dinner by the sea. Imagine a weekend of waking up to views of cliffs, sea and sky, with the promise of bright and breezy beach walks in Jersey’s sunlight. Or finding a choice of spaces to unwind from bars and restaurants to beach cafes, natural swimming spots to sanctuary-style spas to relax in. Here’s our insiders’ itinerary to ensure you get the best out of the island even if you’re just here for the weekend. Drift into a world of family island adventures in Jersey where your client's days can be spent paddling in beach rock pools, to meeting rare and endangered wildlife at Durrell Wildlife Park. Small-sized, the island’s perfect for small legs to explore. And the good thing about Jersey being famous for its cows… is the Jersey ice-cream best served with sand between your toes. Get inspired for Jersey family holiday adventures with our day-to-day planning guide to family holidays in Jersey. A natural playground for adrenaline-seekers where you can choose to do so much, or so little, Jersey suits the adventurous. With a range of activities in close proximity, you can practise your skills or learn new ones and still be back in time for lunch Add these pulse-racing experiences to your client's trip! Escape to an island for a romantic break in Jersey and fall in love with our dramatic scenery and inspiring landscape. 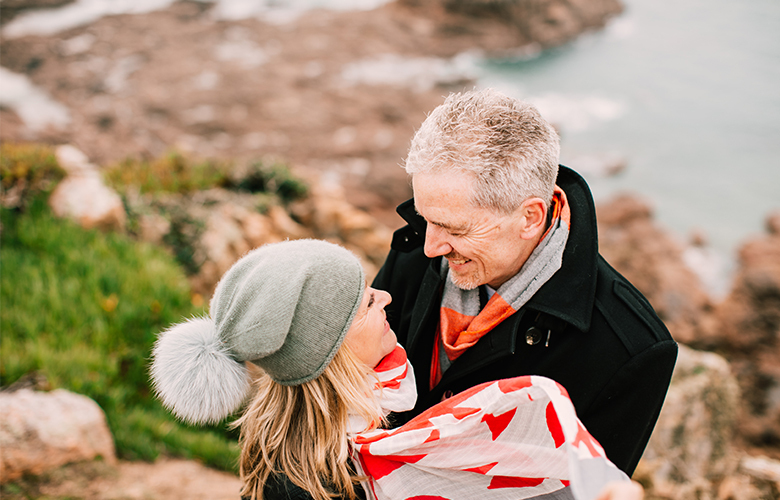 Relax in a boutique spa hotel, cosy up in front of a log fire or walk hand in hand along our beaches at sunset - however you choose to steal your romantic moments in Jersey, you’ll find the perfect setting for a romantic escape. Planning a romantic break to Jersey? Here are our suggestions to find your perfect romantic getaway, whether you’re into grand gestures or simply love discovering the natural beauty of the island together. Jersey’s famous for its food - Jersey Royals and its rich creamy milk from Jersey cows. If you’re visiting the island, bring a healthy appetite for some of our unique food experiences. From restaurants that serve the best of Jersey’s seasonal produce to locally produced gifts and souvenirs to take home, here are five ways to get the most out of your foodie break in Jersey. Coast to coast, Jersey is a golfer’s paradise. Savour a long game on rolling fairways and greens flanked by sweeping bays and warm sunshine. Walk in the footsteps of legends Ted Vay and Harry Vardon who teed off right where you stand. Swing a perfect round in some of the best golf courses in Europe with views across the Atlantic and discover the perfect place for a Sunday drive. Our campaigns leverage Jersey's brand proposition to tell our story. Our activity is focused on evolving perceptions of Jersey, turning visitor aspirations into bookings and driving incremental visitor spend.